Warhammer 40K Thousand Sons 11: Army Building. This is a nice update to show where I am so far with the army. 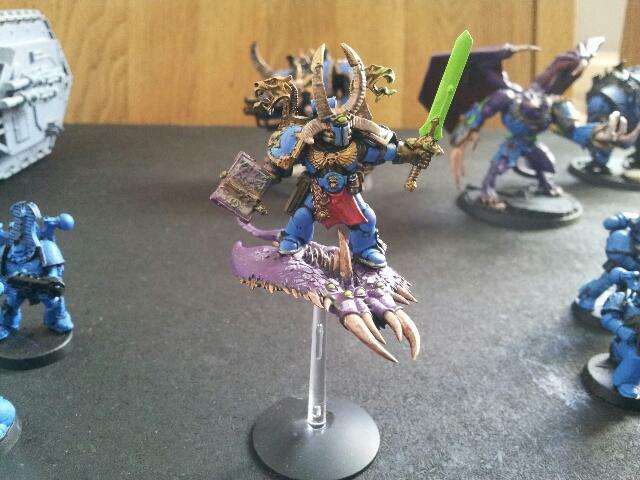 My Thousand Sons army is called The Host of Rememberance, led by my Lord of his Disc of Tzeentch. 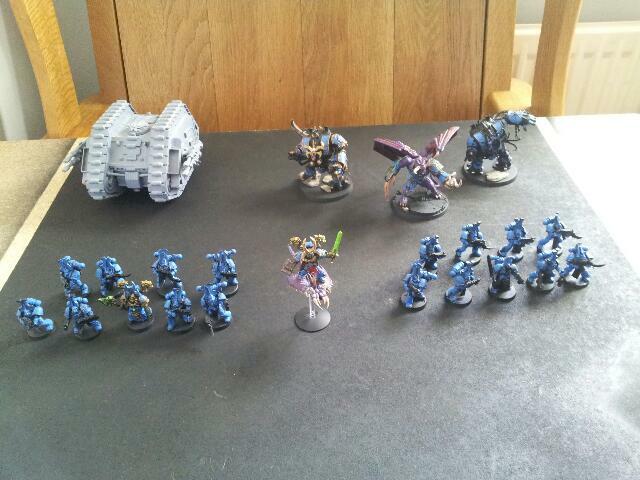 This is the first of my two Thousand Son squads, I will eventually think up names for all the units and vehicles. Any thoughts on suitable sounding names please let me know. The wannabe sorcerer in this lot is actually the old metal model you used to be able to get. 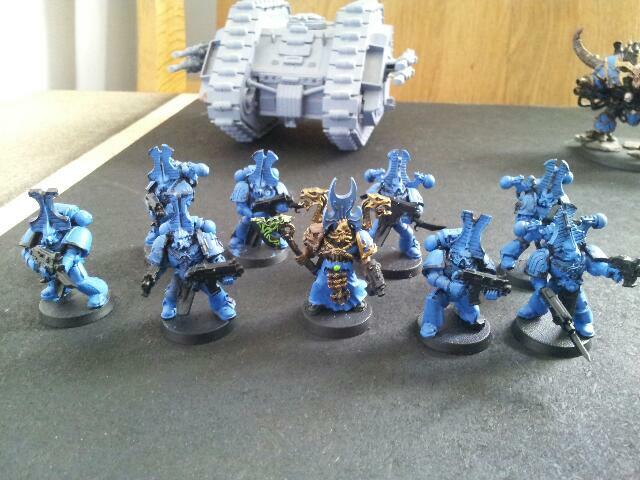 The second squad is let by the usual sorcerer that comes in the upgrade kit. As you can see I have made great attempts to make the poses more unique. Don’t get me wrong I know they are meant to be dust inside that armour but still I like tothink they still move and shoot/kill with some animation. Still have the boss cruising around, he is the cloeset to being finished at this stage. But I am still not happy with him and at the very least I have to paint his unpurity seal. 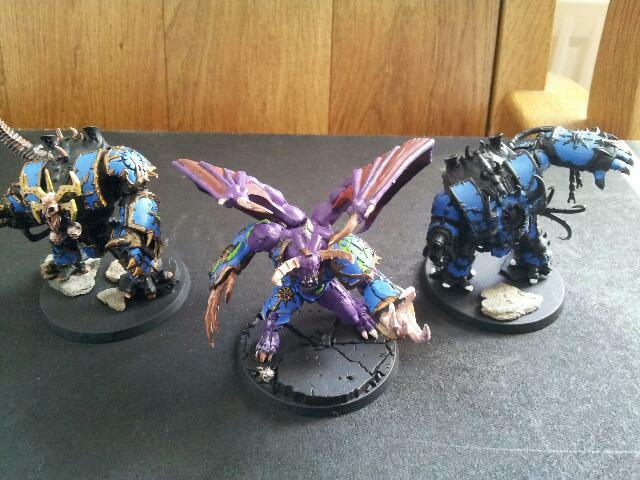 The Daemon Prince with two of my Hellbrutes, there is a third coming as I want to play them as a mayhem pack. 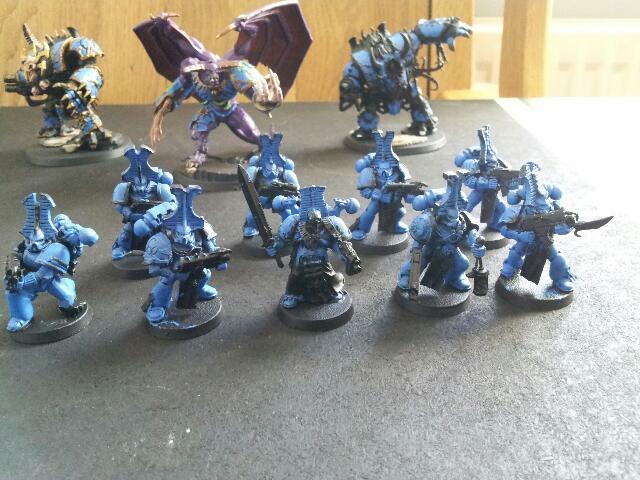 The one left to join them is the SM one from Black Reach who has to be suitably Tzeentch’d up. 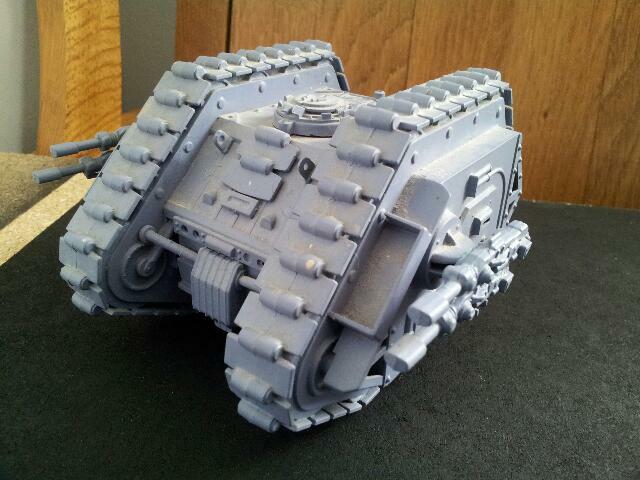 Last but not least is a very old school model, the original Rogue Trader era Land Raider. I hope to some day have some termis to pack inside him.